Here are a few of the toys from around my place. Some I have found in Op-shops or at markets or garage sales. A cute little tip truck a Grandpa probably made for a child. This tractor was perhaps a school project. A wonderful home made train. The pull along horse and rider that my girls played with. I can’t remember where it came from. The metal truck was my truck from when I was a toddler. My Mum said that I used to sit on it was push myself around the house. One of my favourite photo challenges – Cee’s Black and White Photo Challenge. Some photos are black and white others have been converted. The Snail shell found in my garden. It is an Australian native snail. Traces of the past made me delve into the past finding some photos of stuff I have found lately that have come from the past. One visit to Sydney I came across an old letter box or post box. I love the ornate top and the cast iron construction. They used to be everywhere in Sydney. I wonder if this is the last one that is still in use? I love this old farm house from the early part of last century. This month has been quite a month of contrasts. I have been sitting here wondering where my rain has gone when all around rain has fallen. 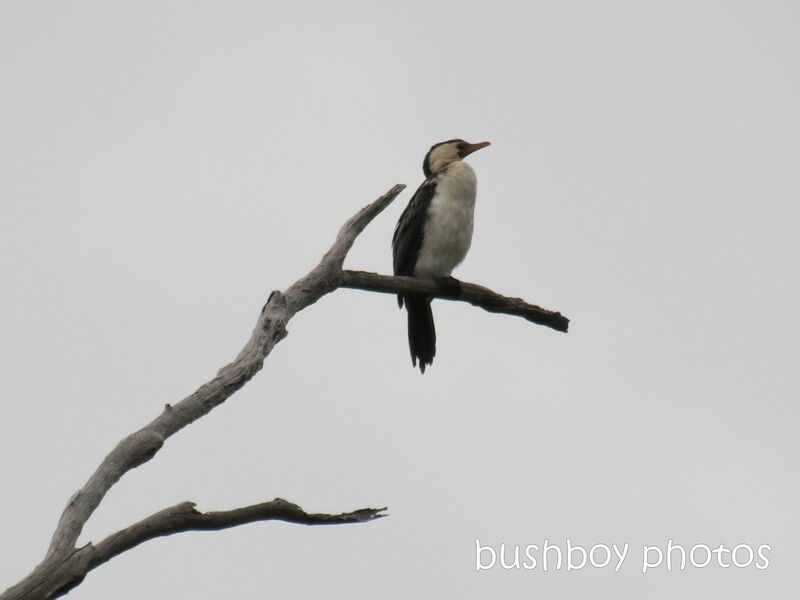 I am away and have rain and a diversity of stuff, whereas at home, the dryness has seen quite a few birds desert the property for better pickings. But still there are the ones who stick around for most of the year with an occasional drop in by a stranger. 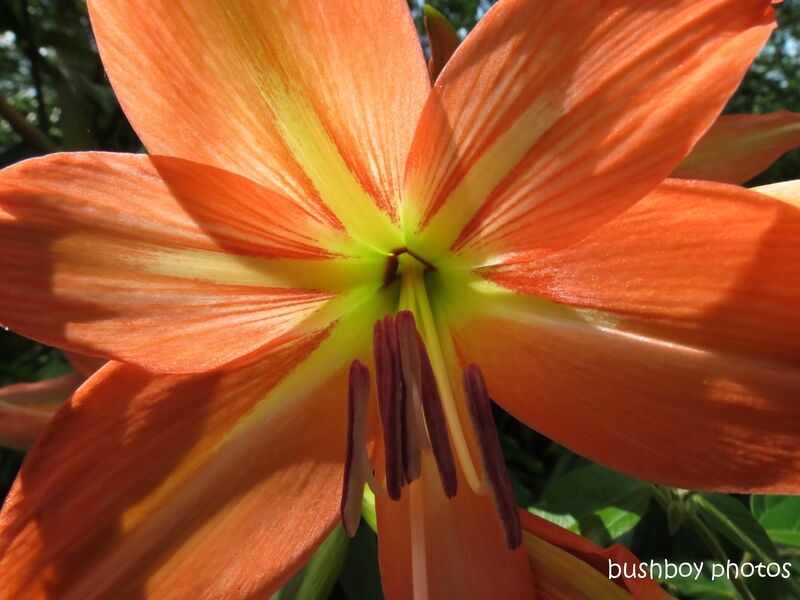 This is a look back at the month and some of the discoveries that I have made as I wander about. Hope you enjoy this adventure walk around with me. A vine that trails over a fence has flowered this year the first time for quite a while. I don’t know what it is but it has an interesting shape inside. 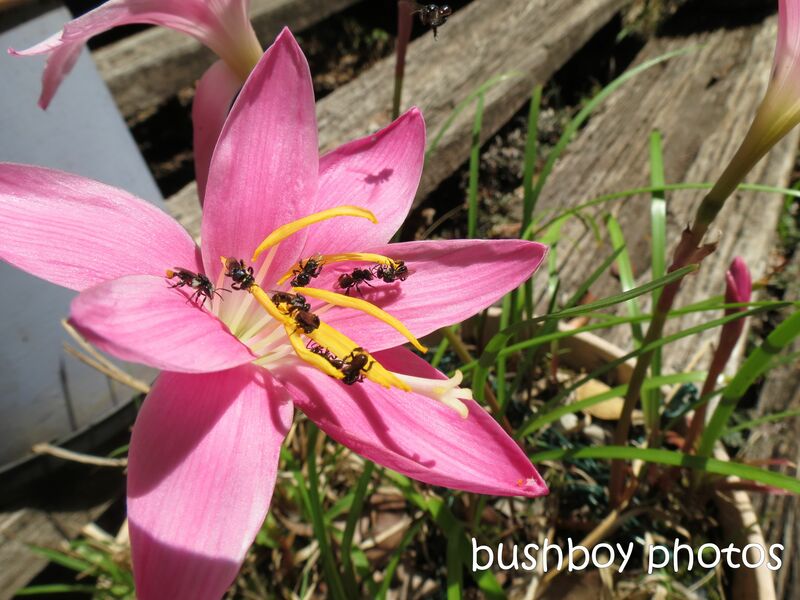 The Crocus flowers have attracted the attention of the native bees who arrive in numbers. I like the one at the top of the photo, throwing a shadow on the petal, who is buzzing in at speed as though it was a bit late. As it seems we have moved onto the bees and bugs, we better continue. 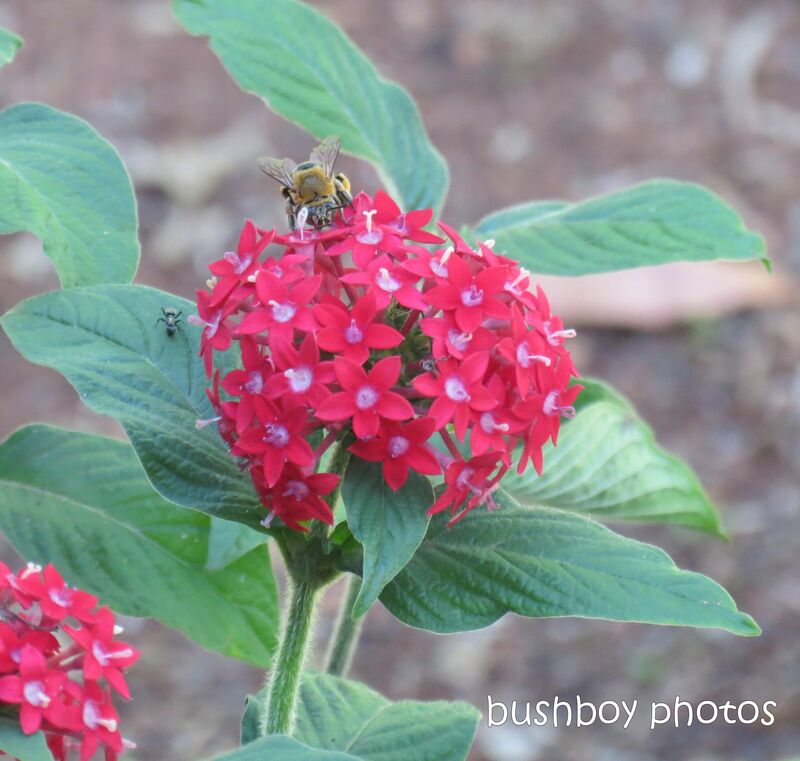 The Blue Banded Bees have been quite busy at my place and my besties. This bloke was very intent on the flowers. 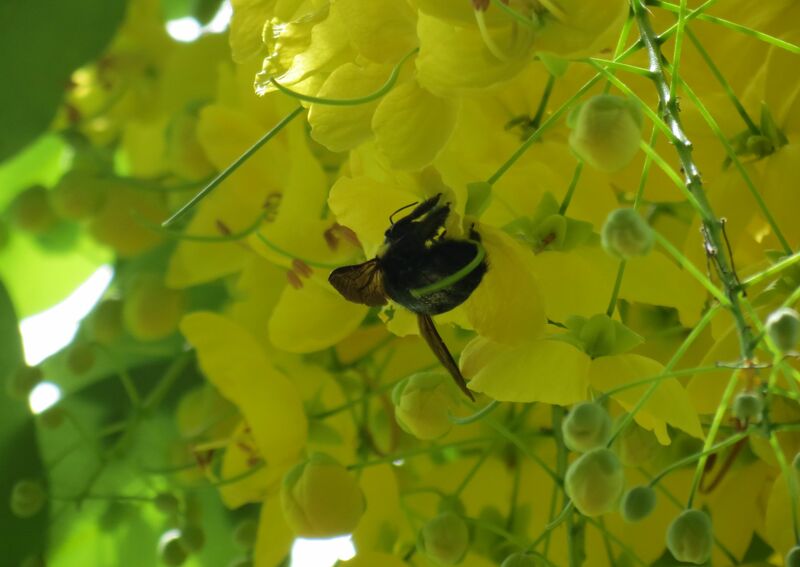 The Cassia flowers have been quite spectacular this year with the pendants of yellow dripping from the tree. The big bee who dropped in to do a bit of gathering would have been surprised with the thank you pat on the back from the flower. 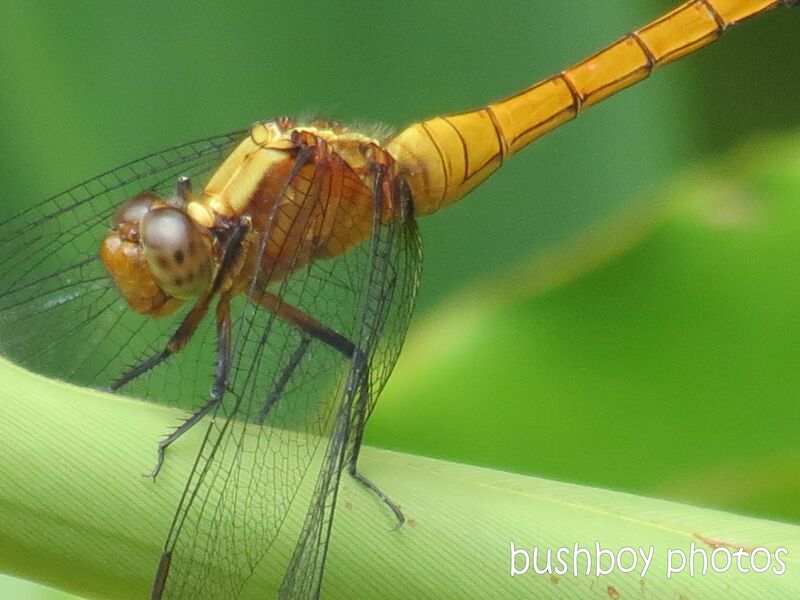 No matter the weather, there is always dragonfly flitting about or stopping to eye-ball what ever I am doing. One night, there was a constant high-pitched chirping from a cicada inside. After a bit of searching I found it hiding behind the curtain. 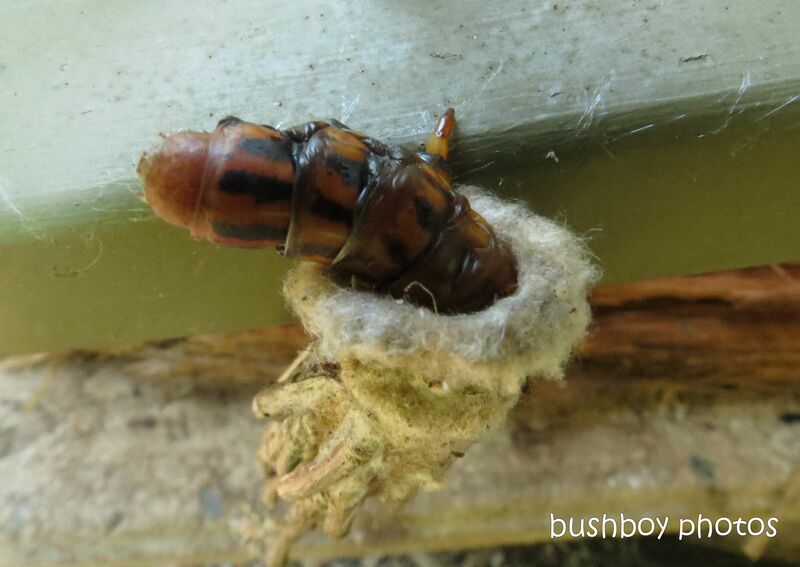 While outside, a caterpillar was changing location to set up a better snoozing spot in its cocoon. 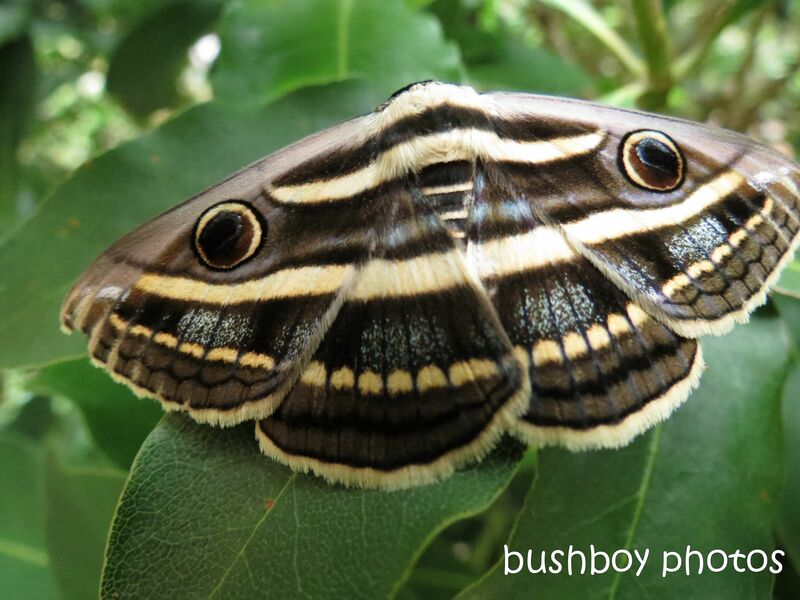 This moth is always watching or so it hopes in order that’s what predators will think so it won’t end up as dinner. There has been some birds around. The Peaceful Doves are always around as they know in the afternoons I give the chooks some grains. 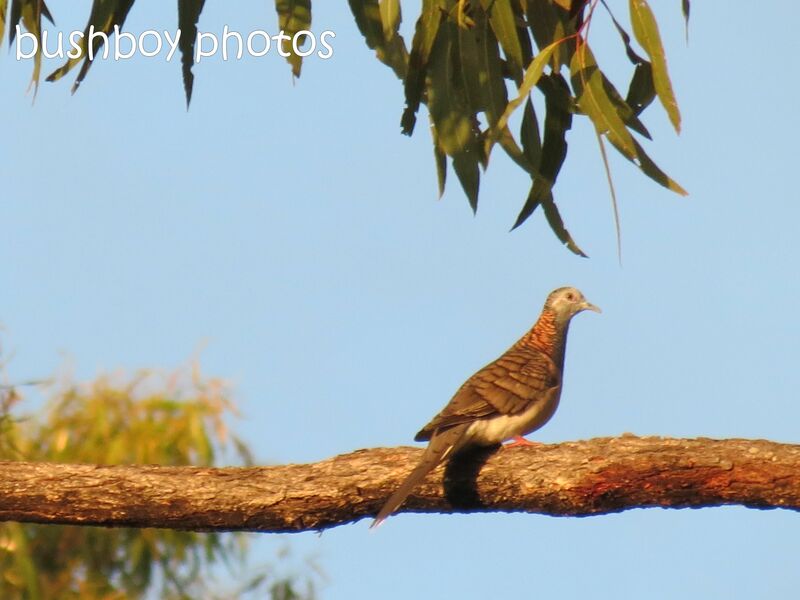 The new comer to my garden was a Bar Shouldered Dove who was cooing from the bush for a few days before I saw him. It has been quite hot and the Spangled Drongo just sat in the shade of the tree hoping to catch a breeze. 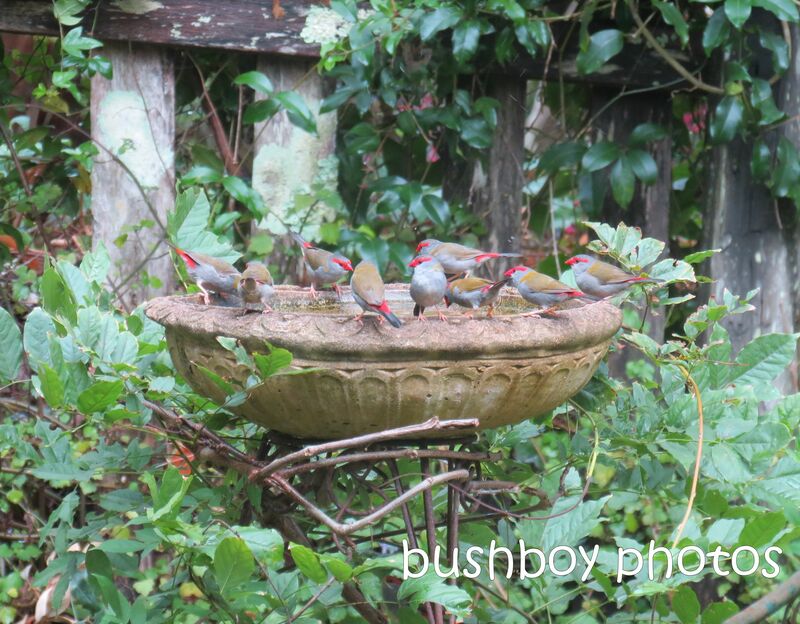 But in my besties garden, the Red Browed Finches has a great place to meet have a chat, a bath and a drink. The Cormorant found a good perch above the dam to keep an eye out for fish and to dry off in the sun. 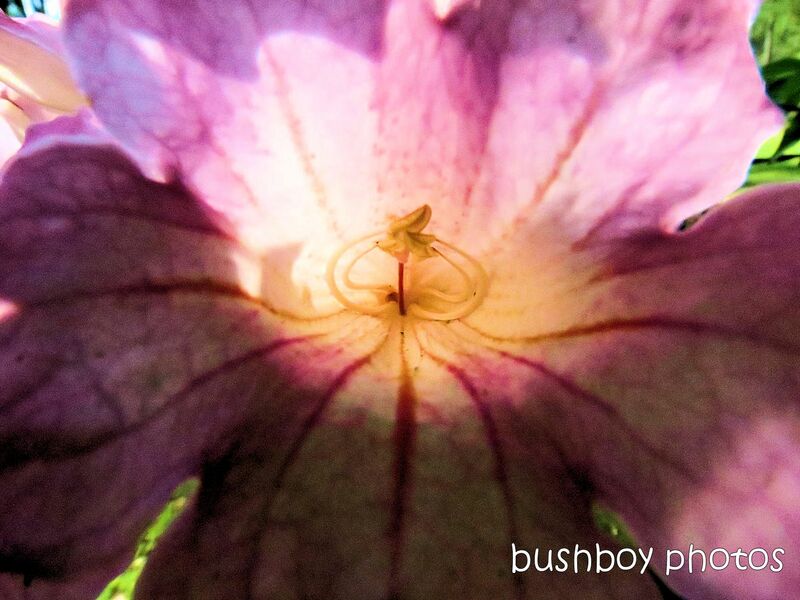 At night the Flying Foxes came for the flowers of the Pink Bloodwood. Can you count the eyes peering out from the dark as they hang from the palm tree? It has been a year for snakes big and small. 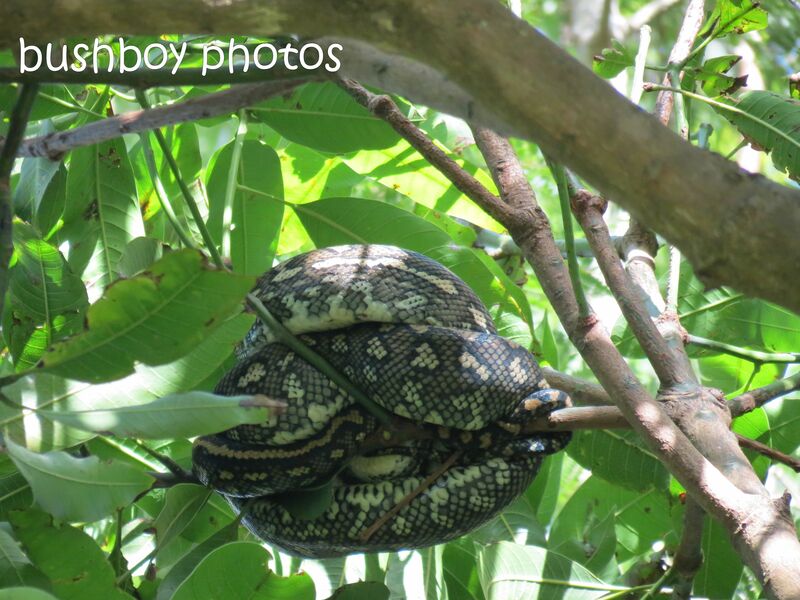 At my besties I saw a carpet snake high up in the mango tree. 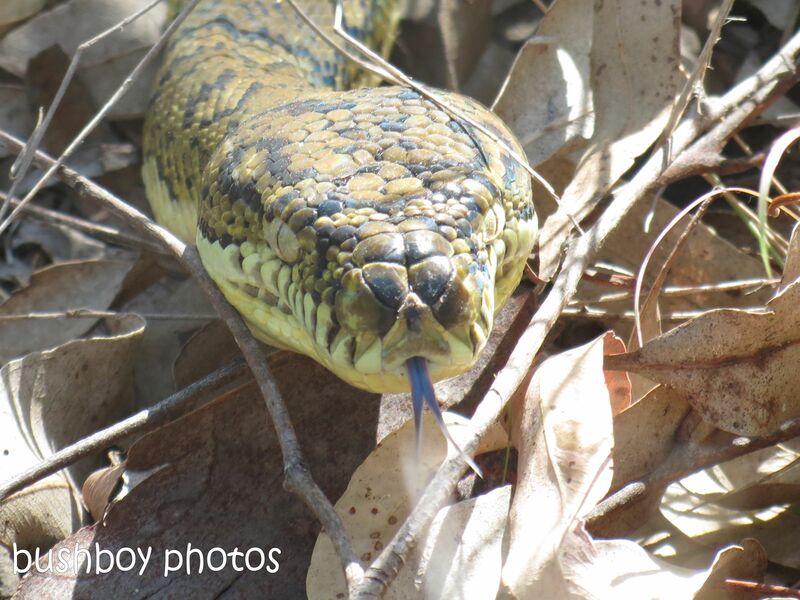 A knot of snake on a small branch. Whereas at my place late one night I had to rescue a chook from the deadly coils. A bit of a drive up the road in the morning to a safe place, I let it out of the bag. It looked bigger in the night. 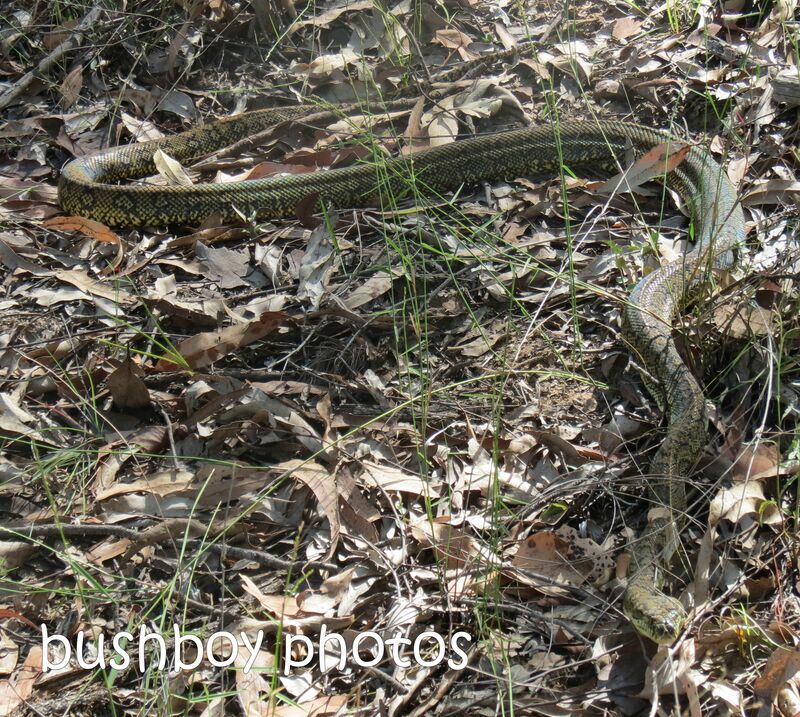 But it gave a cheeky grin and slithered off. 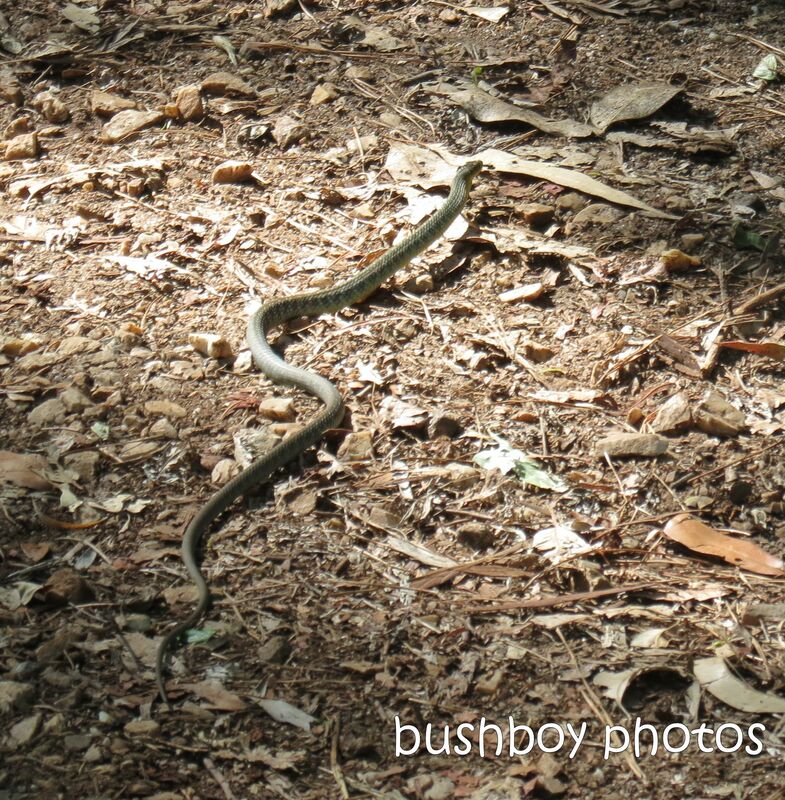 The little Green Tree Snake was quite happy to scurry away at speed. We all enjoy a walk along the beach. 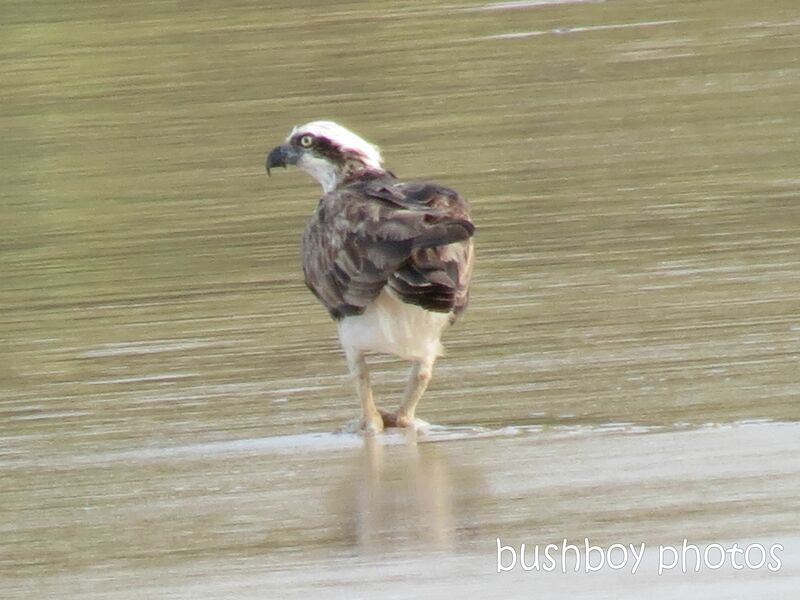 Even an Osprey has to do it every now and then. 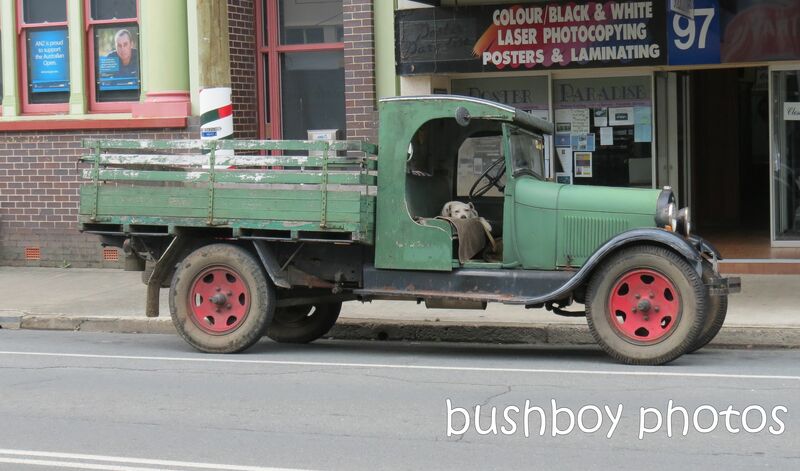 Well like the tired old dog in Murwillumbah, it’s time to start the truck and head on home. Did you like a walk through my January?